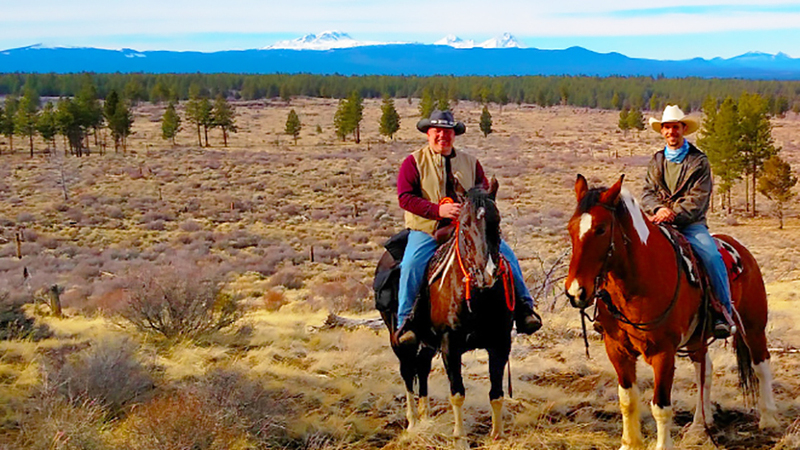 SLICE Ranch, located in SE Bend near Horse Butte offers trail rides for adult riders 16 and over in two, three, and four-hour packages. Each package includes grooming, a lesson, and safety overview, as well as a 30 minute warm up. All of their horses have been selected based on their personality, had training using the Natural Horsemanship methods, are barefoot, and each plays his or her own role in the herd. If you have your own horse and want some company, join them on group rides that are scheduled based on interest. Trailer parking is available and the group rides include the use of the tack room/tack up area, hay if needed while at Slice, facility privileges, as well as the use of the track and pasture before or after your ride. If you’re looking a place to ride out, Slice Ranch is located directly across the street from a National forest and is a great place to park your trailer. Your fee includes the use of the facilities, paddocks, track, and pasture.